Varicocele is often associated with impaired sperm parameters. Different procedures have been developed for varicocele treatment. The aim of this study was to evaluate the effects of varicocele treatment on conventional sperm parameters. We compared two different techniques of intervention: surgical varicocelectomy and sclerotherapy. We also evaluated the number of varicocele recurrences and the pregnancy rate. We included 102 patients (mean age 29.8 ± 0.8 years) with ultrasound diagnosis of varicocele. We excluded patients whose ultrasound evaluation and/or sperm parameters were not known before and after varicocele correction. We divided the patients (excluding 8 with azoospermia) into two subgroups: surgical varicocelectomy (n = 44) and sclerotherapy (n = 50). For each patient, we compared conventional sperm parameters before and after varicocele correction. After varicocele correction, we found a significant improvement in sperm concentration, total count and total motility. Considering the two subgroups, baseline sperm parameters did not differ significantly. Sperm concentration and total count increased significantly after varicocele correction by varicocelectomy. Varicocele correction by sclerotherapy resulted in a significant increase in sperm concentration, progressive and total motility. We found varicocele recurrence in 32% of patients who underwent varicocelectomy and in 19.7% of patients undergoing sclerotherapy. The pregnancy rate was higher after sclerotherapy (28%) than after surgical varicocelectomy (13%). Varicocele treatment must be recommended when other causes of infertility have been treated. Our results suggest the use of sclerotherapy for varicocele repair. LMM and LM are the principal investigators. MC, RAC, AB, AA, SLV, GM and GIR have contributed in methodological and statistical aspects. AEC is the coordinator of the study. Evers JH, Collins J, Clarke J. 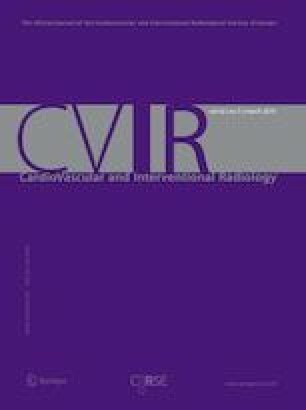 Surgery or embolisation for varicoceles in subfertile men. Cochrane Database Syst Rev 2008; (3):CD000479. https://doi.org/10.1002/14651858.cd000479.pub3. (Review). Update in: Cochrane Database Syst Rev. 2009;(1):CD000479. Bou Nasr E, Binhazzaa M, Almont T, Rischmann P, Soulie M, Huyghe E. Subinguinal microsurgical varicocelectomy vs. percutaneous embolization in infertile men: Prospective comparison of reproductive and functional outcomes. Basic ClinAndrol 2017; 27:11. https://doi.org/10.1186/s12610-017-0055-x. eCollection 2017.